Twice now, I’ve visited Cuba, and twice I’ve spent some time in Trinidad. 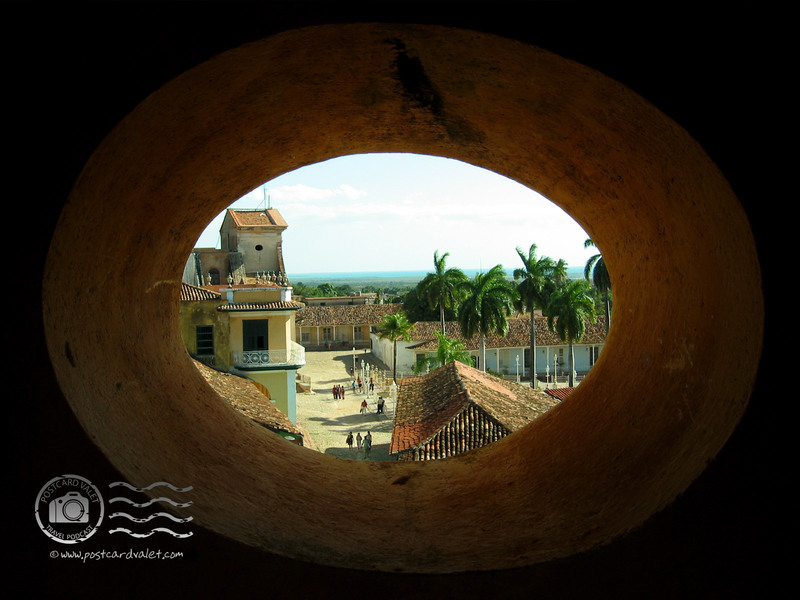 It’s a beautiful colonial town in central Cuba, just a couple miles from the coast. There’s a church on the hill, cobblestones on the streets, and picturesque landscapes and architecture around every corner. On my first visit, I spent a lot of time moving around the central plaza with my 35mm camera. There’s a wonderful bell and clock tower at one corner and I was continually trying to find the best angle on it. I eventually found one; it’s now framed and hanging on the wall in my home office. Four years later, my camera had changed, but the view in Trinidad was mostly the same. I amused myself by trying to find the exact spot where I’d taken the first picture, then set out to frame something new. There’s a museum in the base of the bell tower — something I’m not sure I was aware of on the first trip. My companions and I paid a few dollars to go inside, hoping we’d get a chance to climb the tower. Despite the rickety stairs and often a lack of handrails, tourists are, indeed allowed up. Not all the way, though; the top room with the clock was barred with a trapdoor and a hefty padlock. We stepped out onto the museum roof and paced around the edges. 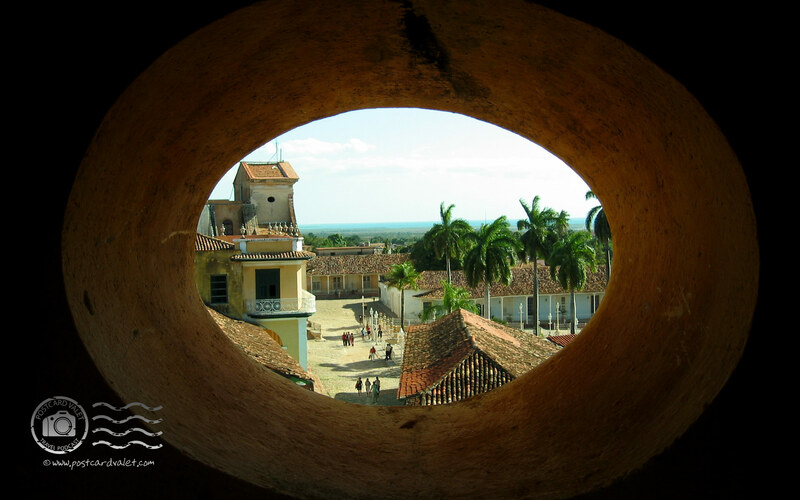 From there we had a wonderful view of the terra cotta tile rooftops and the lush green countryside. (Not to mention an ancient, rusty air raid siren.) Walking back down the stairs, I stopped at the oval window we’d skipped on the way up. I had to climb half into the cement ring to take an unobstructed picture of the courtyard below. When I climbed back out, I took another picture to remember what the window was like. I like the cement window frame better than the original. It gives the viewer an interesting perspective, and in combination with the other photo I took years before, tells an interesting story. Looking back and forth between them, I can identify the exact location where I took each picture!